Oh how we love washi tape. How about you? We’ve talked about how to organize your washi tape collection (you hoard washi tape too, right?) but what about the easiest way to use and dispense it? 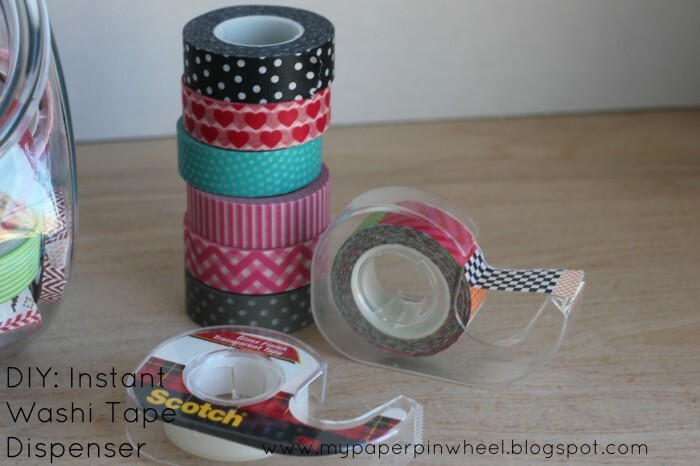 We love this quick and easy idea by My Paper Pinwheel, a DIY Instant Washi Tape Dispenser! Find the tutorial at My Paper Pinwheel. Wow, why have I never thought about that?! It’s genius!